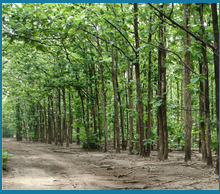 Providing developed farmhouse, residential na bungalow plots, raw farmhouse plots, lake touch raw farm house plots. With Every Plot enjoying an excellent view of the Panshet Lake and the Rising Sun, PRIME SUNRISE offers plots for Farm House, in the scenic and Picturesque Panshet Dam Backwaters Area. 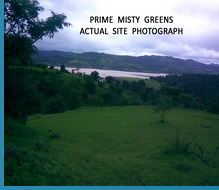 A Project of Raw Plots for Farmhouse and / or Investment, PRIME SUNRISE is located in Village Mangaon (Panshet), Taluka Velhe, District Pune, 75 Km from Pune Railway station, away from the Hustle-Bustle of the city, in the Lap of Nature. 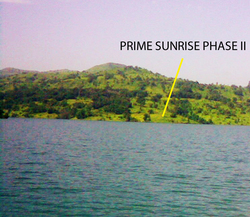 At PRIME SUNRISE you can avail plots ranging from 20,000 sq.ft. and above, starting at a price of Rs.50/- per sq.ft. onwards. 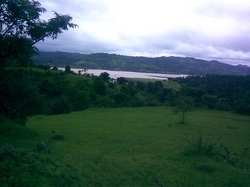 Natural Beauty showered by Mother Nature, with an excellent view of the Pristine Blue Waters of the Panshet Lake and the Ever Green Sanhyadri Hills as a backdrop are a Hallmark of PRIME SUNRISE. 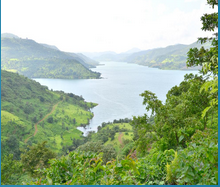 LAKE TOUCH Raw Farm House Plots Along Panshet Dam Backwaters. Presenting LAKE TOUCH Farm House Plots along the picturesque Panshet Lake, 'Prime Sunrise' is any avid nature lovers dream come true. 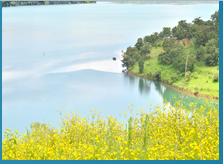 Facing the Rising Sun, with view of the pristine blue waters of the Panshet Dam in front and Scenic Green Sanhyadri as the backdrop, 'Prime Sunrise' offers Road Touch & Lake Touch plots, with an exceptional lake view, at a distance of 75 Km from Pune Railway Station. 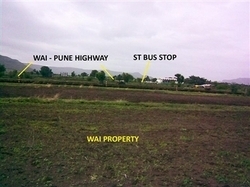 With Plots admeasuring approx 35,000 sq. ft. at Rs.100/- per sq. 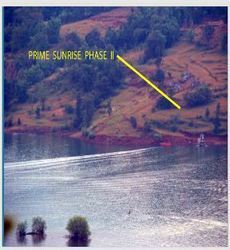 ft., 'Prime Sunrise Ph II' presents raw plots, ideal for the WATER TOUCH Farm House of your dreams. 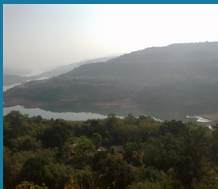 A Pleasurable drive along the Panshet Lake, right from the Dam Wall, up to the project, is any nature lovers DREAM DRIVE. 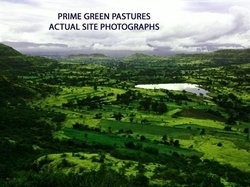 Prime Green Pastures offers Raw plots, ideal for Farmhouse and / or Investment, admeasuring 1 acre and above (approx.40000 sq.ft. 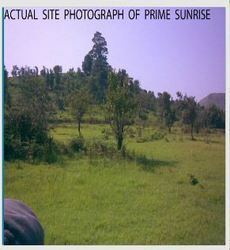 and above) at a price of Rs.8,00,000/- per acre. 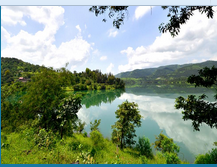 The Property is located just 4Km off the Pune - Satara Road (Mumbai - Bangalore National Highway 4), in the cozy little village Shirgaon, Taluka Wai, District Satara, at a distance of 90Km from Swargate, 25Km before Panchgani, en route to Mahabaleshwar from Pune.